This month the Rocky Mountain High Intensity Drug Trafficking Area released an official report regarding the effects marijuana legalization has had on Colorado. The report also found that more than one in five Colorado traffic deaths was marijuana-related in 2017, and the annual rate of emergency room visits related to marijuana has increased 52%. 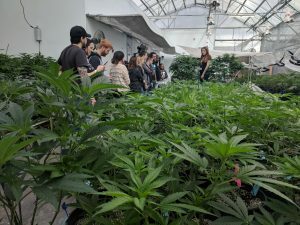 Colorado now ranks third in the nation for marijuana use among those ages 12 and older, confirming the notion that marijuana legalization encourages youth to use marijuana as well. The report also indicated marijuana sales on the black market have increased since the state legalized recreational marijuana. The number of highway seizures of marijuana by authorities in Colorado rose from an average of 242 seizures from 2009-2012 to an average of 336 seizures from 2013-2017. As we have noted in the past, marijuana continues to be sold on the black market by those wishing to evade taxes and other regulations. Marijuana in Colorado also is being smuggled illegally into other states. All of this underscores that legalizing marijuana does not put a stop to crimes associated with marijuana. As we have said time and time again, marijuana may be many things, but harmless simply is not one of them. Photo by My 420 Tours [CC BY-SA 4.0 (https://creativecommons.org/licenses/by-sa/4.0)], from Wikimedia Commons.